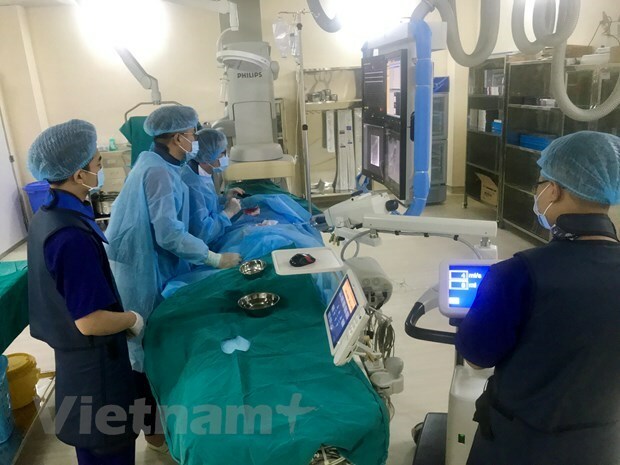 Hanoi (VNA) – Over 300,000 Vietnamese patients are struggling with cancer, said Director of the Vietnam National Cancer Hospital (Hospital K) Tran Van Thuan during a conference on scientific research and training cooperation between Hospital K and UK partners on April 16. Thuan said about 165,000 new cases of cancer and 115,000 deaths of the disease are reported in Vietnam each year. Hospital K has developed bilateral partnerships with corporations, hospitals and universities from developed countries such as the UK, France, the US, Japan, Australia, the Republic of Korea to improve the quality of cancer diagnosis and treatment.